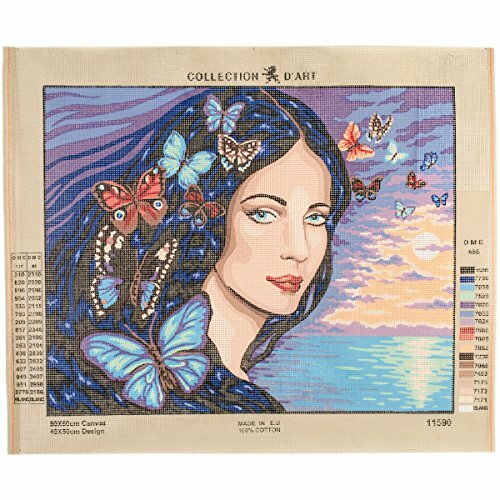 Collection d' art-stamped needlepoint printed tapestry canvas: portrait with Butterflies. Create a beautiful piece of art to display in your home or office. This package contains one 19- 1/2x23-1/4 inch canvas. Design size: 16x19-1/2 inches. Imported. If you have any questions about this product by RTO, contact us by completing and submitting the form below. If you are looking for a specif part number, please include it with your message.